DRM Audiobook to MP3 Converter - How to Listen to iTunes Audiobook on MP3 Player? It seems that most of us used to downloading and enjoying movies, TV shows and music from iTunes Store. However, iTunes Store also provides with numbers of audiobooks in M4B or M4A format. 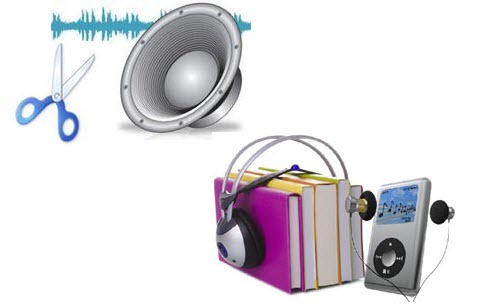 These audiobooks can be downloaded and transfered to iPod, iPhone or iPad for listening to. To our disappointment, Apple protects them with the DRM which makes it impossible for you to listen to iTunes audiobooks on MP3 player or other audio players. So, if you have got a common MP3 player instead of the iPod, and you want to play iTunes audiobook on MP3 player, you may try to remove DRM from iTunes audiobooks. This article mainly introduces a useful DRM audiobook converter to you which can help you remove DRM and convert iTunes DRM audiobooks to MP3 or AAC formats for playing on common MP3 players or portable devices like Nokia Lumia 920/820. 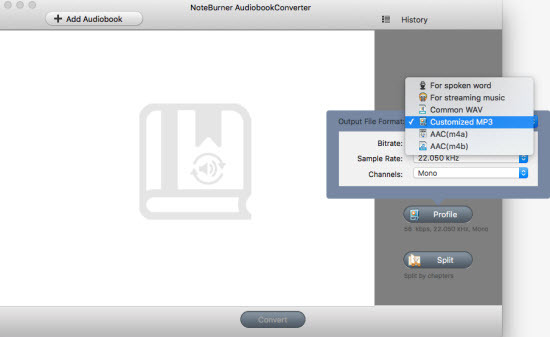 NoteBurner Audiobook Converter for Mac is just the top iTunes M4B/M4A audiobook converter recommended above. 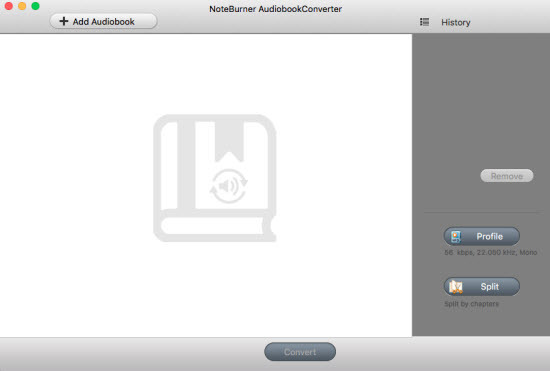 Note: If you need to convert audiobooks on Windows PC, then you can try NoteBurner iTunes DRM Audio Converter for Windows. It is an all-in-one iTunes Audio Converter which can help you convert Apple Music files, audiobooks and M4P music to plain MP3 and AAC. To convert iTunes Audiobook for MP3 player. You need choose output settings first. Click the Preference button, and then choose the format to MP3 from pull-down menu. Also the AAC is fine for playing on MP3 players. After that, just click the convert button on the main interface to start to convert DRM Audiobook to MP3 on Mac. After the conversion, the converted audiobook will be displayed in the file list of the program. NoteBurner iTunes Audiobook Converter also enables you split the converted MP3 files. You can split the MP3 audiobooks into different parts by clicking the split button.